Höschl C.: Verapamil for depression? Am. J. Psychiat., 140, 1983, 8: 1100. Höschl C., Stárka L., Roth Z., Jaššová J. et al. :Dexamethasone suppression test (DST) in psychiatric patients: multidimensional linear regression analysis. Activ.nerv.sup.,26, 1984, 1: 43-44. Höschl C., Stárka L., Ornstová J. et al. : Reproducibility of the Dexamethasone suppression test in psychiatric patients. Activ.nerv.sup.,26,1984, 1: 44-45. Höschl C., Roth Z.: Thyreoliberin-test in psychiatric patients: multidimensional linear regression analysis. Activ.nerv.sup.,26, 1984, 1: 48-50. Bakeš K., Zárubová V., Höschl C., Blahoš J.: Are the effects of neuroleptics on glycide metabolism due to the influence of calcium and calmodulin? Activ. nerv. sup., 27, 1985, 1: 47-48. Höschl C., Blahoš J., Kabeš J., Hessler M.: Therapeutic use of verapamil in affective disorders. Activ. nerv. sup., 27, 1985, 1: 60-61. Höschl C.: Biologická hlediska v současné psychiatrii. Čs.-sovětská konference k filozofickým otázkám medicíny (Biological aspects in contemporary psychiatry). Knižnice ILF, Praha 1985. Höschl C., Karásková E., Kožený J., Stárka,L. : Dexamethasone suppression test in alcohol addicts. Activ. nerv.sup.,27, 1985, 4: 277-278. Höschl C., Blahoš J., Kabeš J., Hessler M.: Experience with verapamil in psychiatry. Activ.nerv.sup.,27,1985, 4: 253-255. Žantovský M., Höschl C., Nešporová B., Hendrychová Y.: Dominance hierarchy, initiation of interaction and estimates of present state in psychiatric inpatients. Activ. nerv. sup.,31, 1989, 2: 89-92. Höschl C.: Využití kalciotropních látek v psychiatrii a neurologii. (Diskuse). (The therapeutic use of calciotropic drugs in psychiatry and neurology /Discussion/). Čas. Lék. čes.,129, 1990, 12: 379-380. Kabeš J., Höschl C.: Za prof. MUDr. Lubomírom Hanzlíčkom, DrSc. (In memoriam prof. Dr. Lubomír Hanzlíček). Bratisl. 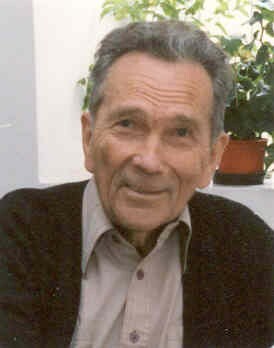 Lek .Listy, 92,1991,č.6: 317. Kabeš J., Höschl C.: Vzpomínka na prof. L. Hanzlíčka. (In memoriam prof. Dr. Lubomír Hanzlíček). Čs. Psychiat.,87,1991,1:71-72. Höschl C.: Challenges in Developing Models for Psychiatric Education in Eastern Europe. World Psychiatry, 2, 1994, 5: 5-8. Řípová D., Němcová V., Strunecká A., Höschl C.: Inositol lipid signalling system in schizophrenia. Homeostasis, 36 (suppl.1), 1995: 126. Höschl C.: Civilizační zásahy a psychika (Civilisation interventions and mental health). MEDICÍNA, 6, 1996, str. 1 a 19. Höschl C., Sartorius N., Mohr P.: Comparison of Undergraduate and Postgraduate Psychiatric Training in Eastern Europe. Europ. Neuropsychopharmacol., 6, 1996, Suppl. 3: 14. Řípová D., Němcová V, Höschl C., Strunecká A.: Age-dependent changes in the lipid composition of rat brain cortex and cerebellum. Homeostasis, 38, 1997, No 1, p. 31-33. Höschl C.: Editorial. Psychiatrie, 1, 1997, 1: 2. Höschl C.: Editorial, Psychiatrie, 1, 1997, 2: 38-39. Stráský J., Blahoš J., Dvořák J., Höschl C. : Projects of medical research, Internal Grant Agency, Ministry of Health, Czech Republic 1997. Čas. Lék. čes., 136, 1997, 23 : 3. Höschl C.: Editorial, Psychiatrie, 2, 1998, 1: 2-3. Höschl C.: Editorial, Psychiatrie, 2, 1998, 2:62-63. Höschl C.: " Doc. MUDr. Ctirad Škoda, DrSc. died". Psychiatrie, 2, 1998, 2:126. Höschl C.: Editorial, Psychiatrie, 2, 1998, 3:152-153. Höschl C.: Paul Janssen awarded Honorary doctorate of Charles University. Psychiatrie, 2, 1998, 3:196. Höschl C.: Editorial, Psychiatrie, 2, 1998, 4:212. Höschl C.: Garden party of Professor Zvolsky - Ad Multos Annos! Psychiatrie, 2, 1998, 3:266. Balon R., Höschl C.: Commentary on National Trends in behavioral sciences (1981-1996). Psychotherapy and Psychosomatics, 1998; 67:288-289. Höschl C.: How to write a paper ? Psychiatrie, 3, 1999, 1:61-62. Reprinted in Vita Nostra Revue 1/1999, p. 22. Höschl C.: The marriage. Psychiatrie, 3, 1999, 2:135-136. Höschl C.: Editorial. Psychiatrie, 3, 1999, 1:2. Höschl C.: Editorial. Psychiatrie, 3, 1999, 2:80. Höschl C.: Editorial. Psychiatrie, 3, 1999, 3:144. Höschl C.: Editorial, Psychiatrie, 3, 1999, 4:218. Höschl C.: Editorial. Psychiatrie, 4, 2000, 1:2. Höschl C.: Editorial, Psychiatrie, 4, 2000, 2:82. Höschl C.: Jaroslav Blahoš celebrates his 70. Praktický lékař, 80, 2000, 6:303-303. Höschl C.: MUDr. Pavel Baudiš, CSc. celebrates his 70. Česká a Slovenská psychiatrie, 96, 2000, 7:387. Höschl C.: Editorial, Psychiatrie, 4, 2000, 3:160. Höschl C.: Editorial, Psychiatrie, 4, 2000, 4:230. Höschl C.: Editorial, Psychiatrie, 5, 2001, 1:1. Höschl C.: Editorial, Psychiatrie, 5, 2001, 1:65. Höschl C.: Special subtypes of bipolar depression: mixed state and rapid cycling. Psychiatrie 5, 2001, suppl. 2:44-45. Höschl C.: Centre of Neuropsychiatic Studies – milestone of the Czech medical research. Psychiatrie, 5, 2001, S3 :1-3. Höschl C.: Editorial. Adiktologie (journal for prevention, tratment and research of addictions). 1, 2001, str. 3-4, ISSN 1213-3841. Höschl C.: Editorial: Psychiatrie, 5, 2001, 3:141. Höschl C.: Laudatio to Zdeněk Neubauer. University News (Universitas Masarykiana Brunensis) 8; 2001, 11: 30-32. ISSN 1211-6866. Höschl C. : Editorial: Psychiatrie,6, 2002, 1:1. Höschl C.: Editorial. Psychiatrie, 6, 2002, 2:69. 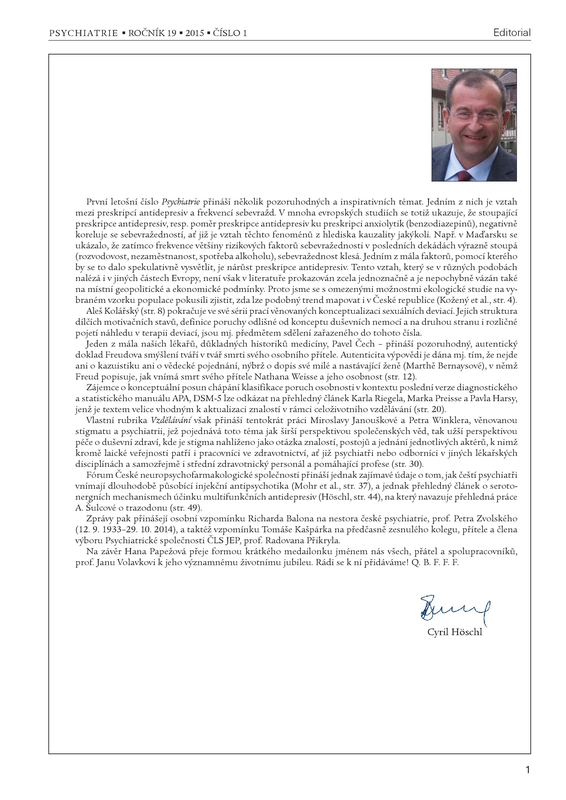 Dytrych Z., Höschl C.: Laudatio to prof. Zdeněk Matějček (80*). Psychiatrie, 6, 2002, 2:139-141. Kopeček M., Höschl C., Hájek T.: Regional selectivity of novel antipsychotics. Brit. J. Psychiatry 2002, 181:254-255. Höschl C.: Editorial. Psychiatrie 6, 2002, 3:151. Höschl C.: Editorial. Psychiatrie 6, 2002, 4:217. Sokol J., Štulík K., Höschl C.: Laudatio: Zdeněk Klein. Neuroendocrinology Letters Special Issue, 23, 2002, Suppl. 4:8-9. Höschl C.: What is the role of cerebellum in regulating cognitive functions in psychotic patients? In: Driss Moussaoui (ed. ), Unanswered questions in psychiatry and mental health. WPA, 2002, p 34. Höschl C.: Are there new treatment possibilities to prevent neuronal death? In: Driss Moussaoui (ed. ), Unanswered questions in psychiatry and mental health. WPA, 2002, pp 59-60. Kopeček M., Höschl C. Hájek T. Selectivity of atypical antipsychotic. Br. J. Psychatr. 9:2002,534-535. Höschl C.: Ediorial. Psychiatrie 7, 2003, 1:1. Höschl C.: Editorial. Psychiatrie 7, 2003, 2:79. Höschl C.: Neuropsychopharmacology in the Czech Republic. ECNP matters, issue 5, June 2003, p. 1. Höschl C.: Úvodník: Centrum neuropsychiatrických studií – milník českého lékařského výzkumu. (Centre of neuropsychiatric studies – milestone of the Czech medical research). Česká a Slovenská psychiatrie, 99, 2003, 5:243. Höschl C.: Editorial. Psychiatrie 7, 2003, 3:163. Höschl C.: Životní jubileum Prof. MUDr. Petra Zvolského, DrSc. (Laudatio to profesor Peter Zvolský). Psychiatrie, 7, 2003, 3:232-233. Höschl C.: Editorial. Psychiatrie 7, 2003, 4 245. Höschl C.: 16th ECNP congress in Prague, Czech reflections. (Prof. Höschl, local adviser 16th ECNP Congress). ECNP Matters, Newsletter, No. 6, Dcember 2003, p. 4. Šťastný F, Tejkalová H, Höschl C, Balcar VJ. Viral infection, glutamatergic deficit and behavioral changes in animal model of schizophrenia. Psychiatrie 2003;7(Suppl.2):128-130. Höschl C.: Editorial. Prevence relapsu schizofrenie (Relapse prevention in schizophrenia). Bullegin Academia medica Pragensis 1, 2004, 1:2. Höschl C.: Editorial. Psychiatrie, 8, 2004, S1:1. Höschl C.: Editorial. Psychiatrie, 8, 2004, S3:1-2. Patočka J., Höschl C.: D-Serin: bílá vrána mezi aminokyselinami. (D-Serin : white crow among amino acids). Psychiatrie, 8, 2004, 3:238-239. Höschl C.: Psychiatrie je součástí denní praxe každého lékaře (Psychiatry is a part of everyday practice of every doctor). Lékařské listy 2004, 46:8. Höschl C.: Editorial. Psychiatrie 8, 2004, 4:263. Höschl C.: Obituary to Prof. PhDr. Zdeněk Matějček, CSc. Psychiatrie, 8, 2004, 4:338. Höschl C.: Obituary to Prof. PhDr. Zdeněk Matějček, CSc. Česká a Slovenská psychiatrie, 100, 2004, 12:521. Höschl C.: Editorial. Psychiatrie, 9, 2005, S1:1. Höschl C.: Česká psychiatrie jde správným směrem (Czech psychiatry goes in the right direction). Psychiatrie pro praxi, 6, 2005; 2:59. Höschl C.: Má český psychiatrický výzkum mezinárodní význam? (Úvodník). (Is the Czech psychiatric research internationally recognized? – editorial). Česká a Slovenská psychiatrie (Czech and Slovak Psychiatry), 101, 2005, 4:193. Höschl C.: Životní jubileum Prof. Jaroslava Blahoše (Festschrift to professor Jaroslav Blahoš). Časopis lékařů českých (Czech medical journal), 144, 2005, 6:431. Höschl C.: Mental health as the health care priority with inter-ministerial impact. (Editorial). Psychiatrie, 9, 2005, 2:91-93. Höschl C.: Czech Medical Academy. Calendar, bulletin of the Society of General Medicine of the Czech Medical Society J.E.Purkyne, 1/2005, pp. 28-29. Höschl C.: Introduction. Annual report of the Prague Psychiatric Center for 2004. Page 7-9. Höschl C.: Editorial. Psychiatrie 10, 2006, 1:1. Höschl C.: Editorial. psychiatrie, 10; 2006, 3:133. Höschl C.: Introduction. Report on Prague Psychiatric Centre activities in 2001-2005. Psychiatrické centrum Praha, 2006, pp. 7-9. Customized antipsychotic treatment. Interview in Medical Tribune, 2, 2006; 37:5. Höschl C.: Editorial. Psychiatrie, 10; 2006, 4:201. Höschl C.: Editorial. Psychiatrie, 11; 2007, 1:1. Höschl C.: Editorial. Psychiatrie, 11; 2007, 2:75. Höschl C.: Editorial. AEP Newsletter, 8, Summer 2007, p. 1. Höschl C.: Editorial. Psychiatrie, 11; 2007, 3:145. Höschl C.: Felicitation to professor Jaromir Svestka´s anniversary. Psychiatrie, 11, 2007; 3:188-189. Höschl C.: Editorial. Psychiatrie, 11; 2007, 4:200. Results of the meta-analysis may also depend on outcome measures. Letter. PLoS, 28 Feb 2008. Höschl C.: Are antidepressants really inactive? Editorial. Psychiatrie, 12; 2008, 1:1. Höschl C.: Editorial. Psychiatrie, 12; 2008, 2:69. Höschl C.: Jan Libiger - 60th birthday. Psychiatrie, 12; 2008, 2:115-116. Höschl C.: Editorial (European perspectives in psychiatry: antidepressants as an example). Acta Psychiatr Scand 2008; 118:89-90. Höschl C., Stopková P. Discrete and continuous approaches in the conceptualization of schizophrenia and bipolar disorder. Engrami,30,2008;2(S1):151-154. Participation in the discussion-forum "Are mentally ill people patients of a second category?" Medical Tribune, IV;2009,32:2. Höschl C.: Editorial. Psychiatrie, 12; 2008, 4:185. Höschl C.: Editorial. Psychiatrie, 13; 2009, 2-3:57-58. Höschl C.: Editorial. Czech Medical Academy Review, 6; 2010:2-3. Höschl C.: Editorial. Psychiatrie, 14; 2010, 1:1. Höschl C.: Editorial. Psychiatrie, 14; 2010, 2:65. Höschl C.: Concluding remarks. European Psychiatry, 25; 2010, Suppl 2: S46. Höschl C.: Importance of physical health in patients with schizophrenia. 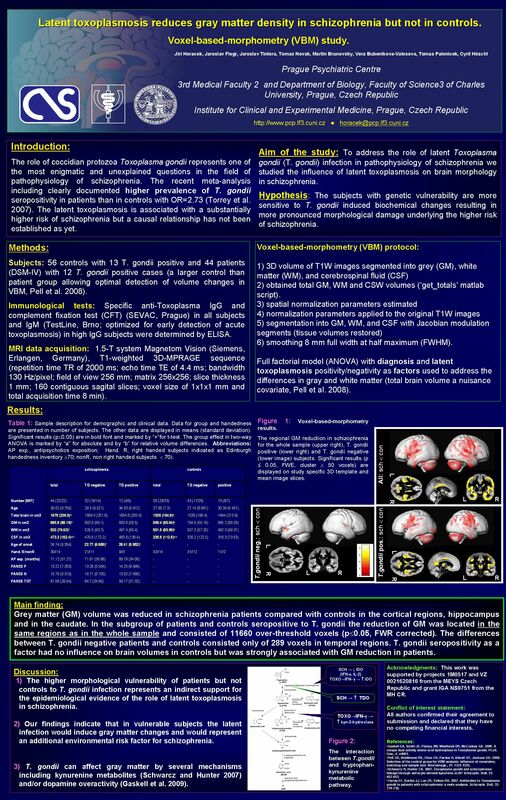 European Psychiatry, 25; 2010, Suppl 2: S1-S2. Höschl C. Introduction. Prague Psychiatric Center 2009 (Annual report). PCP 2010, pp.8-10. Höschl C.: Editorial. Psychiatrie, 14; 2010, 3:115. Höschl C.: Editorial. Psychiatrie, 14; 2010, 4:167. Höschl C.: Report of FEAM activities in 2010. Czech Medical Academy Review. 7, 2011:42. Höschl C.: Editorial. Czech Medical Academy Review; 7, 2011:3-4. Höschl C.: Editorial. Psychiatrie, 15; 2011, 1:1. Höschl C.: Editorial. Psychiatrie, 15; 2011, 2:61. Höschl C.: Editorial. Česká a Slovenská Psychiatrie. 107; 2011, 4:199-201. Höschl C.: Editorial. Psychiatrie, 15; 2011, 3:120. Höschl C.: Laudatio Prof. MUDr. Jaroslav Bouček, CSc. Psychiatrie, 15; 2011, 3:120. Höschl C.: Editorial. Psychiatrie, 15; 2011, Suppl.2:1. Höschl C.: Editorial. Psychiatrie, 15; 2011, 4:179. Höschl C.: BEDŘICH SMETANA - ART AND DISEASE. Psychiatria Danubina, 2012; Vol. 24, Suppl. l, pp 176-178. Höschl C.: Editorial. Psychiatrie, 16; 2012, 3:130. Höschl C.: Editorial. Psychiatrie, 16; 2012, 4:185. Höschl C.: Editorial. Psychiatrie, 17; 2013, 2:56. Höschl C.: Editorial. Psychiatrie, 17; 2013, 4:168-169. Höschl C.: Editorial. Psychiatrie, 18; 2014, Suppl 1:1. Höschl C.: Editorial. Psychiatrie, 18; 2014, 2:51. Höschl C.: Editorial. Psychiatrie, 18; 2014, 3:113. Höschl C.: Editorial. Psychiatrie, 19; 2015, 1:1. Höschl C.: Editorial. Psychiatrie, 19; 2015, 2:67. Höschl C.: Editorial. Psychiatrie, 19; 2015, 4:172. Höschl C. Editorial. Psychiatrie 2016; 20(1):1-2. Höschl C. Editorial. Psychiatrie 2016; 20(2):1-61. Höschl C. Editorial. Psychiatrie 2016; 20(2):61.
van Erp TGM, Walton E, Hibar DP, …, Hoschl C, …, Turner JA. Reply to: New Meta- and Mega-analyses of Magnetic Resonance Imaging Findings in Schizophrenia: Do They Really Increase Our Knowledge About the Nature of the Disease Process? Biol Psychiatry. 2018 Nov 20. pii: S0006-3223(18)31935-8. doi: 10.1016/j.biopsych.2018.10.003.